Give a man a fish, and you feed him for a day. VERA AQUA VERA VITA is a nonprofit, non-governmental, catholic-principled organization comprised of people passionate about Missionary Service, Engineering Solutions, and Community Empowerment. Because of these catholic-based principles, we are Inspired by the witness of our patron Blessed Pier Giorgio Frassati. At our core we are MISSIONARY SERVICE-oriented. To be a truly impactful missionary, we must first be rooted in prayer and for this reason we have our Fountains of Prayer program. Our internal organizational culture is the source of our successful missionary service, and for this reason we stress the importance of living the virtues of faith, hope, and charity keenly focused on maximizing our team members God-given strengths and gifts. We are pro-life and stand-up for the value of all human life from conception to natural death and promote the importance of the nuclear family. Catholic (Christian) Social Teaching and relational ministry are our missionary service guide posts. In action we inspire SUSTAINABLE ENGINEERING SOLUTIONS. We consider the Triple Bottom Line (People, Environment, and Economy) when identifying feasible solutions for the communities we serve. We propose engineered W.A.S.H. systems for communities and empower the people to choose which one is best to meet their needs. We equip and train the locals for management, operation, and long-term maintenance of their systems to continue providing water and wastewater services for generations to come. We don't work alone, and we don't leave the communities we serve alone. We have a local advocate and liaison with the local leadership, community members, and project specific partners which keeps us informed and aware of needs. Through EDUCATION we EMPOWER the people we serve. We have comprehensive programs to empower people we serve. Ultimately, the members of each community will be the aqueducts of their own future solutions and development because we don't just give them a handout but a hand up. We implement community-specific educational workshops tailor-made to the particular situations and knowledge deficiencies of each community. In the end analysis, our principals are interwoven in Biblical Scripture which recognizes the potential in each person and sees the dignity of Christ in each one of them; we look for opportunities to offer an encounter with the good news of the Gospel of Jesus Christ through the channel of Theology of the Body. 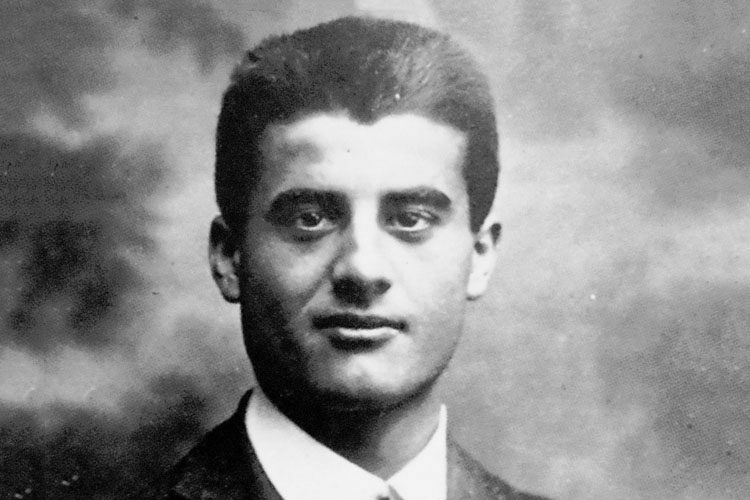 Blessed Pier Giorgio Michelangelo Frassati was born in Turin, Italy on April 6, 1901. His mother, Adelaide Ametis, was a painter. His father Alfredo, was the founder and director of the newspaper, La Stampa, and was influential in Italian politics, holding positions as an Italian Senator and Ambassador to Germany. He developed a deep spiritual life which he never hesitated to share with his friends. The Holy Eucharist and the Blessed Virgin were the two poles of his world of prayer. At the age of 17, he joined the St. Vincent de Paul Society and dedicated much of his spare time to serving the sick and the needy, caring for orphans, and assisting the demobilized servicemen returning from World War I.